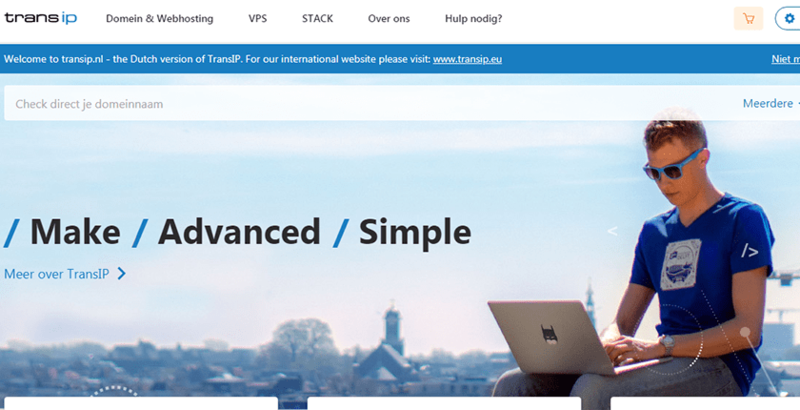 TransIP Review 2019: Is TransIP a Good Hosting? TransIP offers excellent storage and robust features for single-domain hosting. However, if you need to host multiple domains on a single account, they cannot help you. TransIP is a Netherlands-based company that’s been in business since 2003. Their list of features is solid for single domain website hosting, complete with robust storage, database support, and unlimited bandwidth. However, if you need anything more, look elsewhere. TransIP offers Linux-based shared hosting services on self-developed servers to ensure maximum uptime. All plans come with the following features. There are a couple of nice value-added features with TransIP that include support for the latest version of PHP and free SSL certificates. Many hosts charge extra for SSL certificates. Also, you get daily backups with up to 10 days of restored data accessible. TransIP is not recommended for most beginners as they do not have an auto-install or a drag and drop builder. You can opt to signup for their WordPress Hosting which has the same features as Standard hosting but has WordPress preloaded. Otherwise, the cPanel hosting is straightforward, and those that know how to create websites will have little problems using this host. The biggest caveat to using TransIP is that you only get a single domain with this account, and it’s not a free one. You cannot host any additional websites on your plan, and this has been a major complaint of prospective customers about this service. Also, the pricing for plans changes after a single month. Any promotional offers apply to the first month only. As mentioned earlier, they do offer WordPress hosting, but all their WordPress hosting is are the standard plans with WordPress pre-installed. The prices are the same. Unless you are dedicated to only using WordPress, it would be better to get cPanel hosting and install WordPress manually. Not surprisingly, customer support is also underwhelming. They presently only offer knowledge base support and online ticketing support. You have to have a paid account to speak with customer support. They claim that they respond to all requests within an hour, even on weekends. They would be better suited to offer at least live chat support. If you’re only looking to host a single website and want ample storage, bandwidth, and email storage at an affordable rate, then TransIP may be for you. If you need to host multiple websites or have plans of doing so in the future, then you’ll need to look elsewhere. Wondering how TransIP stacks up against other Web Hosting companies? Enter any other Web Hosting company and we will give you a side-by-side comparison.